Without the confidence she exemplified, I would not have learned the significance of loving myself, and in turn, teaching my daughter to love herself, too. 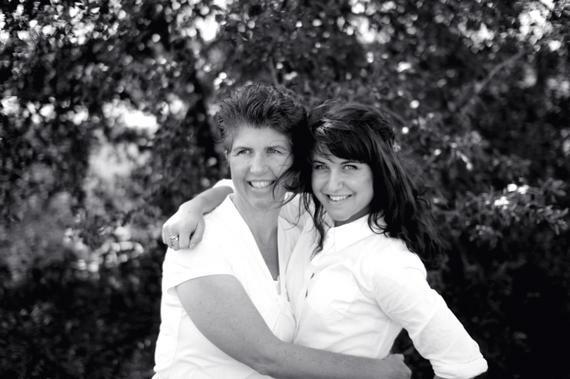 Through my mom, I learned loving yourself is the beginning of all victories. If you know my mother, you know full well how eccentric she is. Or in other words, nutty. She's energetic and quirky. She's chatty and long winded. She is sarcastic. She is messy. She is cantankerous. If you know my mom, you know her ability to drive one a bit mad. 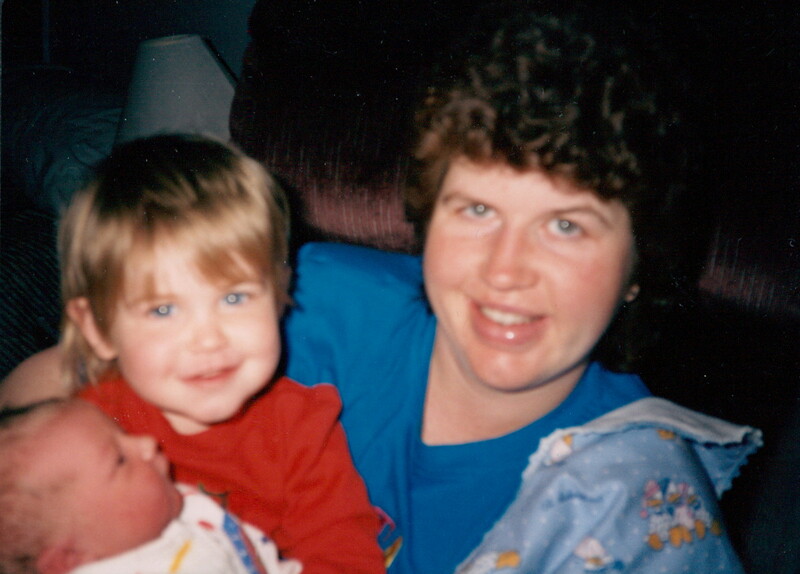 If you really, truly know my mom, you know there isn't another person more wonderful than she is. I could spend my whole life writing, and never be able to properly represent her heart. She is as generous as they come. Her entire existence is centralized on serving others. She is passionate about simple things (the color purple, PT Cruisers, Michael Jackson... to name a few). She is the reason for nearly all that I am, and in motherhood I have seen her in myself even more. Narrowing down all that she's taught me is an impossible task, but here are the pieces she illustrated in her parenting that I hope to carry on in my own home. Growing up, my mom would take "vacations to Hawaii" on a weekly basis. My dad and us kids knew this meant my mom would take a nap or a "time-out" in her room for about an hour to recuperate. This allowed her to address her needs as an individual in a way that wasn't harmful or neglectful for us kids. This was her way of assuring that she was able to be her best self for us. These days, I find myself taking my own kind of "trips to Hawaii" on occasion. Usually on mornings when Steven can wake up with our daughter and I get to sleep awhile longer and to wake up slow. I can see, first-hand, the importance of acknowledging my needs, so I can be there thoroughly for my children too. 2. Love your children as they are. Love yourself for who you are, without reserve. My mother treated me and my brothers like we were important. She would emphasize our strengths and never try to water down the spirits we were born with. Your son wants to take tap dancing lessons? Dance your heart out, kid! Your other son likes playing dress up with his sister, complete with eyeshadow and lipstick? Pucker up! Your daughter wants to be a percussionist or join a swim team, only to quit within a few weeks. After money was spent on a snare drum and swim lessons. Well, she tried. And you are proud for that. When your children are desperately searching to find who they are and want to dye their hair a rainbow of colors, you don't sweat it. "It's just hair," she would always say. She would tell us that we were smart, funny, beautiful, strong, IMPORTANT before the world noticed we were. Even if we weren't those things, we were always important. Even when the "spirits we were born with" led us down paths that she didn't dream for us, she loved us anyway. Despite her conservative demeanor, and our judgmental surroundings at times, she never tried to change who we were. She always knew that her worth as a parent was not determined by her children's failures, or successes. She lived this truth, too. I do not remember a time in my life when my mother, a woman who struggled with obesity the majority of my childhood, talked badly about herself or her body. In fact, I remember more often my mom expressing "how good" she looked, and how good she felt. As a child, I never believed my mom to be "fat" because she never let that word fall on our ears. Even if she felt it inside. She taught us how to laugh at ourselves. As children, it was detrimental to our hearts to have such an example of confidence. In a world that teaches us to be ashamed of self-love, that tarnishes our idea of what matters in a human... well, her confidence was everything. Without the confidence she exemplified, I would not have learned the significance of loving myself, and in turn, teaching my daughter to love herself, too. Through my mom, I learned loving yourself is the beginning of all victories. My mom talked to us. She answered our "whys?". She listened to our childlike wonder and curiosity. She taught us about our bodies. She taught us about death. She explained her decisions to us. She communicated her love by giving us her time. Even when our hearts were broken and the last thing we wanted to do was "talk about it," she would communicate through different ways. She would sit with us while we sobbed. Rub our backs and hold us while we soaked her in tears, without needing to know details. She wasn't too big to tell us she didn't have an answer for us, or too big to say sorry when she was wrong. She never dismissed us. Although we fought, respect was a two way street in our house. 4. No work is more influential than work done in the home. My mother is a working woman. She is so by default. She was raised by a dairy man, and spent her childhood milking cows and tending to the farm early in the morning and late into the night. She has continued working through her marriage. Managing businesses. Working full time. Going to school full time. Working from home, working away from home. My mother is educated, and persevering, and busy. She always taught us to work hard. However, my mother has always stressed that raising her children was the most monumental, fulfilling type of work. And when she was home with us, she was present. She knew full well, as I do now, that your children's childhood is fleeting. No worldly success, no degree, no title, no amount of monetary value would ever be as rewarding as the love she felt from, and the time she spent with her children. 5. Be real with sorrow. My mother never tried to shelter us from her struggle. She never tried to lessen the reality of her pain for us. In 1995, while she was away on a business trip with her two younger children, me included, my oldest brother was in an accident with a lawn mower that ended up taking a third of his heel. He was told he'd never walk again, and had to endure several excruciating surgeries to repair the damage. My mother was devastated. Stricken with guilt, she would lie in bed and cry with my brother through painful bandage changes. She gave up a large part of her life to help him recover, to teach him to walk again, and to overcome the trauma of that accident, both physically and mentally. She healed right alongside my brother. In 1997, she was in a car accident during a rainstorm that sent her car spiraling on the freeway and rolling down a hill. Miraculously, my brother and her survived, but she was not afraid to show us kids the aftermath. The mini van was now a heap of crushed metal. Her body was covered in dark black bruises, scars, and seat belt burns as a result. She showed us the proof of her survival in her battered and beaten body. In 1998, my mother became pregnant with her fifth child, a little boy that was to be named Nicholas. Suddenly, and unexpectedly, at around 7 months along, my mother found out that his heart was no longer beating. Not many can relate to this sort of pain. I won't pretend that I can, but I watched my mother, devoured in agony as she carried this little baby for a few months longer; and delivered his lifeless, perfect little body at home. We were well aware of his existence, and his passing. Each of us kids were allowed to hold him, and I remember his violet tinted skin and the dimple in his chin, (much like mine and my mother's, my brother's, my grandfather's, and my own little girl's). My mom didn't hide my brother from us, instead we witnessed her anguish as she was forced to bury one of her babies. Through each of these unimaginable circumstances, and dozens more throughout her life, we were able to see my mother overcome life's inevitable despair. She taught us that life will not cater to us. She taught us we are not entitled to ease. She taught us to be optimistic. She taught us to forgive life's blows, to become better. She taught us that she was human. My mom is an incredibly flawed human being. Her house was almost always unkempt. Her children weren't dressed in trendy clothing, nor were they always well behaved, or excelling academically. She is heavily reliant on the grace of God. However, she surely gave her children a genuinely happy life, and that alone makes her The Perfect Mother. This post is part of HuffPost Parents' Mother's Day series, exploring the lessons our moms taught us about parenting. Read them all here.